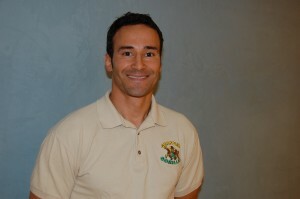 Glenn Rodriguez is the Founder/Director of Grapplin’ Gorillas. He has been a school teacher since 1994, and began his coaching career in 1989. Glenn holds certifications as a Youth Wrestling Coach through USA Wrestling, as a Personal Trainer (CPT), and through the ATCQA (American Tai Chi Qigong Association). He is the former head coach of the Lower and Middle School wrestling programs (grades 5-9) at the Allen-Stevenson School on the Upper East Side of Manhattan. Both as an educator and coach, Glenn brings mindfulness into his instruction. He first introduced Tai Chi in the academic environment when teaching in the NYC Public School System in 1995. He believes that wrestling is the American Martial Art. After wrestling in high school on Long Island, he began to pursue other martial arts. He is a veteran of several Toughman Contests, holds a brown belt in Kempo Karate, and was formerly the Wushu Kung Fu and Tai Chi Assistant Instructor at the Ross School, East Hampton.